Caging: Sulcata Tortoises should be raised indoors for the first few years of their lives. 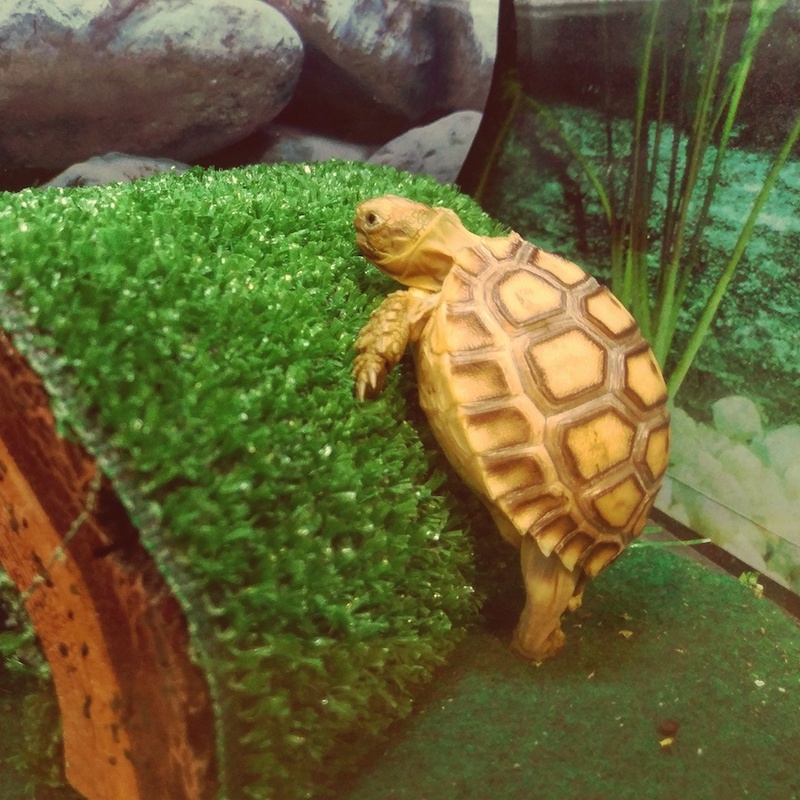 A shallow cardboard box can be used as these tortoises don’t need a lot of room to run around. As they grow they will need to be kept outside. A section of the yard should be bordered off with tough wood fencing or even bricks stacked high. Provide a hide box or a dog house for them to keep warm in during the colder seasons. A ceramic heater may be need during this time. Lighting and Heating: Baby tortoises should have temperature ranges from 68F to 80F with a basking light on one side of the enclosure at 95F. If not outside, they will need a full spectrum 10.0 UVB light. When outside they can handle most temperatures but will need a hide box set to at least 50F degrees. Diet: Baby sulcatas will eat most dark leafy greens such as Kale, Romaine Lettuce, but NOT spinach or mustard greens. They will also readily eat fruits in moderation. Adult Sulcatas will eat the same as juvenile tortoises except they can also eat hay grass.